6 Charpentier, J., L. Farias, N. Yoshida, N. Boontanon, and P. Raimbault (2007). Nitrous oxide distribution and its origin in the central and eastern South Pacific Subtropical Gyre. Biogeosciences, 4, 729-741. 7 Dolan, J.R., M. E. Ritchie, and J. Ras (2007) The "neutral" community structure of planktonic herbivores, tintinnid ciliates of the microzooplankton, across the SE Tropical Pacific Ocean. Biogeosciences, 4, 297-310. 15 Grob, C., O. Ulloa, H. Claustre, Y. Huot, G. Alarcon, and D. Marie (2007). Contribution of picoplankton to the total particulate organic carbon concentration in the eastern South Pacific. Biogeosciences, 4, 837-852. 19 Morel, A., H. Claustre, D. Antoine, and B. Gentili (2007). Natural variability of bio-optical properties in Case 1 waters: attenuation and reflectance within the visible and near-UV spectral domains, as observed in South Pacific and Mediterranean waters. Biogeosciences, 4, 913-925. 22 Twardowski, M.S. H. Claustre, S. A. Freeman, D. Stramski, and Y. Huot (2007). Optical backscattering properties of the "clearest" natural waters. Biogeosciences, 4, 1041-1058. 23 Voss, K.J., A. Morel, and D. Antoine (2007). Detailed validation of the bidirectional effect in various Case 1 waters for application to ocean color imagery. Biogeosciences, 4, 781-789. 24 Beaufort, L., M. Couapel, N. Buchet, H. Claustre, and C. Goyet (2008). Calcite production by coccolithophores in the south east Pacific Ocean. Biogeosciences, 5, 1101-1117. 28 Claustre, H., A. Sciandra, and D. Vaulot (2008). Introduction to the special section bio-optical and biogeochemical conditions in the South East Pacific in late 2004: the BIOSOPE program. Biogeosciences, 5, 679-691. 33 Guidi, L. G. Gorsky, H. Claustre, J. C. Miquel, M. Picheral, and L. Stemmann (2008). Distribution and fluxes of aggregates >100 micrometers in the upper kilometer of the South-Eastern Pacific. Biogeosciences, 5, 1361-1372. 34 Huot, Y., A. Morel, M. S. Twardowski, D. Stramski, and R. A. Reynolds (2008). Particle optical backscattering along a chlorophyll gradient in the upper layer of the eastern South Pacific Ocean Biogeosciences, 5, 495-507. 35 Le Gall, F. F. Rigaut-Jalabert, D. Marie, L. Garczarek, M. Viprey, A. Gobet, and D. Vaulot (2008). Picoplankton diversity in the South-East Pacific Ocean from cultures. Biogeosciences, 5, 203-214. 36 Masquelier S., and D. Vaulot (2008). Distribution of micro-organisms along a transect in the South-East Pacific Ocean (BIOSOPE cruise) using epifluorescence microscopy Biogeosciences, 5, 311-321. 37 Moutin, T., D. M. Karl, S. Duhamel, P. Rimmelin, P. Raimbault, B. A. S. Van Mooy, and H. Claustre (2008). Phosphate availability and the ultimate control of new nitrogen input by nitrogen fixation in the tropical Pacific Ocean. Biogeosciences, 5, 95-109. 38 Obernosterer, I., P. Catala, R. Lami, J. Caparros, J. Ras, A. Bricaud, C. Dupuy, F. van Wambeke, and P. Lebaron (2008). Biochemical characteristics and bacterial community structure of the sea surface microlayer in the South Pacific Ocean. Biogeosciences, 5, 693-705. 39 Raimbault, P. and N. Garcia (2008). Evidence for efficient regenerated production and dinitrogen fixation in nitrogen-deficient waters of the South Pacific Ocean: impact on new and export production estimates. Biogeosciences, 5, 323-338. 40 Raimbault, P., N. Garcia, and F. Cerutti (2008). Distribution of inorganic and organic nutrients in the South Pacific Ocean - evidence for long-term accumulation of organic matter in nitrogen-depleted waters. Biogeosciences, 5, 281-298. 42 Sempere, R., M. Tedetti, C. Panagiotopoulos, B. Charriere, and F. Van Wambeke (2008). Distribution and bacterial availability of dissolved neutral sugars in the South East Pacific. Biogeosciences, 5, 1165-1173. 45 Stramski, D. R. A. Reynolds, M. Babin, S. Kaczmarek, M. R. Lewis, R. Rottgers, A. Sciandra, M. Stramska, M. S. Twardowski, B. A. Franz, and H. Claustre (2008). Relationships between the surface concentration of particulate organic carbon and optical properties in the eastern South Pacific and eastern Atlantic Oceans. Biogeosciences, 5, 171-201. 46 Tolosa, I., J.-C. Miquel, B. Gasser, P. Raimbault, C. Goyet, and H. Claustre (2008). Distribution of lipid biomarkers and carbon isotope fractionation in contrasting trophic environments of the South East Pacific. Biogeosciences, 5, 949-968. 49 Van Wambeke, F., I. Obernosterer, T. Moutin, S. Duhamel, O. Ulloa, and H. Claustre (2008). Heterotrophic bacterial production in the eastern South Pacific: longitudinal trends and coupling with primary production. Biogeosciences, 5, 157-169. 50 Van Wambeke, F., S. Bonnet, T. Moutin, P. Raimbault, G. Alarcon, and C. Guieu (2008). Factors limiting heterotrophic bacterial production in the southern Pacific Ocean Biogeosciences, 5, 833-845. 56 Guidi, L., Steemmann, L., Jackson, G.A., Ibanez, F., Claustre, H., Legendre, L., Picheral, M., Gorsky, G. (2009). Primary producer community effect on production and export of large aggregates : a global analysis. Limnology and Oceanography, 54(6) 1951-1963. 57 Lepere, C., D. Vaulot, and D. J. Scanlan (2009), Photosynthetic picoeukaryote community structure in the South East Pacific Ocean encompassing the most oligotrophic waters on Earth, Environ. Microbiol., 11(12), 3105-3117. 60 Shi, X. L., D. Marie, L. Jardillier, D. J. Scanlan, and D. Vaulot (2009), Groups without Cultured Representatives Dominate Eukaryotic Picophytoplankton in the Oligotrophic South East Pacific Ocean, Plos One, 4(10). 61 Van Mooy B. A. S., Fredricks H. F., Pedler B. E., Dyhrman S. T., Karl D. M., Lomas M. W., Mincer T., Moore L. R., Moutin T., Rappe M. S., and Webb E. A. (2009) Phytoplankton in the ocean use non-phosphorus lipids in response to phosphorus scarcity. Nature, 458, 69-72. 63 Charpentier, J., L. Farias, and O. Pizarro (2010), Nitrous oxide fluxes in the central and eastern South Pacific, Global Biogeochemical Cycles, 24. 64 Duforet-Gaurier, L., H. Loisel, D. Dessailly, K. Nordkvist, and S. Alvain (2010), Estimates of particulate organic carbon over the euphotic depth from in situ measurements. 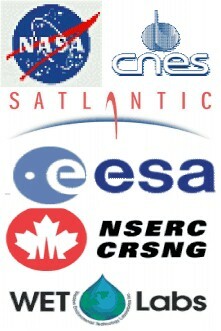 Application to satellite data over the global ocean, Deep-Sea Research Part I-Oceanographic Research Papers, 57(3), 351-367. 65 Kostadinov, T. S., D. A. Siegel, and S. Maritorena (2010), Global variability of phytoplankton functional types from space: assessment via the particle size distribution, Biogeosciences, 7(10), 3239-3257. 66 Partensky, F., and L. Garczarek (2010), Prochlorococcus: Advantages and Limits of Minimalism, in Annual Review of Marine Science, edited, pp. 305-331. 68 Van Mooy, B. A. S., and H. F. Fredricks (2010), Bacterial and eukaryotic intact polar lipids in the eastern subtropical South Pacific: Water-column distribution, planktonic sources, and fatty acid composition, Geochimica et Cosmochimica Acta, 74(22), 6499-6516. 69 Beaufort, L., et al. (2011), Sensitivity of coccolithophores to carbonate chemistry and ocean acidification, Nature, 476(7358), 80-83. 70 Duhamel, S., K. M. Bjoerkman, F. Van Wambeke, T. Moutin, and D. M. Karl (2011), Characterization of alkaline phosphatase activity in the North and South Pacific Subtropical Gyres: Implications for phosphorus cycling, Limnology and Oceanography, 56(4), 1244-1254. 71 Jackson, T., H. A. Bouman, S. Sathyendranath, and E. Devred (2011), Regional-scale changes in diatom distribution in the Humboldt upwelling system as revealed by remote sensing: implications for fisheries, Ices Journal of Marine Science, 68(4), 729-736. 73 Lepere, C., M. Demura, M. Kawachi, S. Romac, I. Probert, and D. Vaulot (2011), Whole-genome amplification (WGA) of marine photosynthetic eukaryote populations, Fems Microbiology Ecology, 76(3), 513-523. 76 West, N. J., P. Lebaron, P. G. Strutton, and M. T. Suzuki (2011), A novel clade of Prochlorococcus found in high nutrient low chlorophyll waters in the South and Equatorial Pacific Ocean, Isme Journal, 5(6), 933-944. 77 Xing, X., Morel, A., Claustre, H., Antoine, D., D'Ortenzio, F., Poteau, A., Mignot, A. (2011). Combined processing and mutual interpretation of radiometry and fluorimetry from autonomous profiling Bio-Argo Floats. The retrieval of Chlorophyll a, Journal of Geophysical Research, 116, C06020, doi:10.1029/2010JC006899. 79 Gleason, A. C. R., K. J. Voss, H. R. Gordon, M. Twardowski, J. Sullivan, C. Trees, A. Weidemann, J.-F. Berthon, D. Clark, and Z.-P. Lee (2012), Detailed validation of the bidirectional effect in various Case I and Case II waters, Optics Express, 20(7), 7630-7645. 80 Groundwater, H., M. S. Twardowski, H. M. Dierssen, A. Sciandra, and S. A. Freeman (2012), Determining Size Distributions and Composition of Particles Suspended in Water: A New SEM-EDS Protocol with Validation and Comparison to Other Methods, Journal of Atmospheric and Oceanic Technology, 29(3), 433-449. 83 Matallana-Surget S., Villette C., Intertaglia L., Joux F., Bourrain M., Lebaron P. (2012) Response to UVB radiation and oxidative stress of marine bacteria isolated from South Pacific Ocean and Mediterranean Sea. Journal of Photochemistry and Photobiology B-Biology 117: 254-261. 84 Xing, X., Morel, A., Claustre, H., D'Ortenzio, F., and A. Poteau (2012). Combined processing and mutual interpretation of radiometry and fluorometry from autonomous profiling Bio-Argo floats: 2. Colored dissolved organic matter absorption retrieval. Journal of Geophysical Research, Vol. 117, No. C4, C04022, http://dx.doi.org/10.1029/2011JC007632. 88 Organelli, E. , A. Bricaud, D. Antoine and J. Uitz (2013). Multivariate approach for the retrieval of phytoplankton size structure from measured light absorption spectra in the Mediterranean Sea (BOUSSOLE site). Applied Optics, 52, 2257-2273.